Sermon on Colossians 2:6-15 offered to the people of the Church of the Heavenly Rest in Abilene, Texas. A few weeks ago, the sports world was shocked to discover that Patriots tight end Aaron Hernandez was arrested on the suspicion of having committed murder. The news was unsettling, and needless to say, the situation is sad for everyone involved, from the family of the victim to the alleged perpetrator of the crime. While it goes without saying that the Patriots have ended their relationship with Hernandez and people who were associated with him are beginning to distance themselves, I am struck by the lengths to which people and organizations are going in order to blot out his memory. The University of Florida, for instance, has removed a brick that bore Hernandez’ name from a walkway that featured the names of Gators heroes. Electronic Arts, the company that makes football video games, has removed Hernandez from their latest release. And the National Football League has taken away a picture of him from the Hall of Fame and has begun to scrub his name from the record books. Now it is more than likely that Hernandez deserves every bit of this, that his accomplishments on the gridiron deserve to be forgotten as a result of his alleged crimes off the field. It is fascinating to me, however, that this rewriting of history, that this pretending that Hernandez never played football is happening when literally everything about the case is being recorded. Even as the University of Florida officially forgot who Aaron Hernandez was, the media spent hours covering his probable cause hearing and speculating about where in his career he might have gone wrong. It is almost absurd that we are pretending that we can forget this guy. Why is it that when someone, especially someone who has been successful in his chosen field, has done something horrible, we all try as hard as we can to forget who he is? You would think that we would want to hold him up as a cautionary tale, to point to his example as a warning to those in similar situations. Instead, we pretend to forget, even though it is almost impossible for us to do so. Even if his name is completely erased from the record books, we will never forget who Aaron Hernandez is. He’ll always be that promising young tight end who committed a horrible crime. As hard as we try to erase his memory, it will remain, leaving us to wonder why we tried to erase it in the first place. Today’s reading from Colossians leaves us asking a similar question. Like most Pauline letters, Colossians is meant to encourage the congregation to put aside the requirements of the Law of Moses and to embrace the grace of God made known in Jesus Christ. But this was a surprisingly hard sell for the community in Colossae. After all, they were thinking, if God is indeed a just God, one who punishes people according to their sins, then there is no way that he could just forgive people for violating the Law. The Colossians assumed that God had a long list of all of the bad things that everyone had ever done, an inventory of every time they had violated the Law. In the minds of the Colossians (and in the minds of many of us), God keeps very close track of each and every one of our sins, giving us demerits every time we miss the mark or cross a line we are not supposed to cross. Eventually, we’ll get to a place where God shows us this comprehensive list of violations and we’ll have no defense against his just and wrathful punishment. While this may not be a particularly pleasant view of judgment, it’s certainly fair according to the wisdom of the world, which dictates that when you do something you’re not supposed to do, you have to pay the price. Our justice system is predicated on this principle, so it stands to reason that God’s judgment must also be founded upon this notion. So when we come before God with the long list of violations, what defense do we have? We are as good as dead. Yet, the author of Colossians indicates that through Jesus Christ, this long list the Colossians imagined is actually blank because all of their sins have been erased; they have a clean slate. But here’s the thing: just like we’re going to remember who Aaron Hernandez is even after his name has been removed from the record books, isn’t God going to remember our sins even after they’ve been erased? 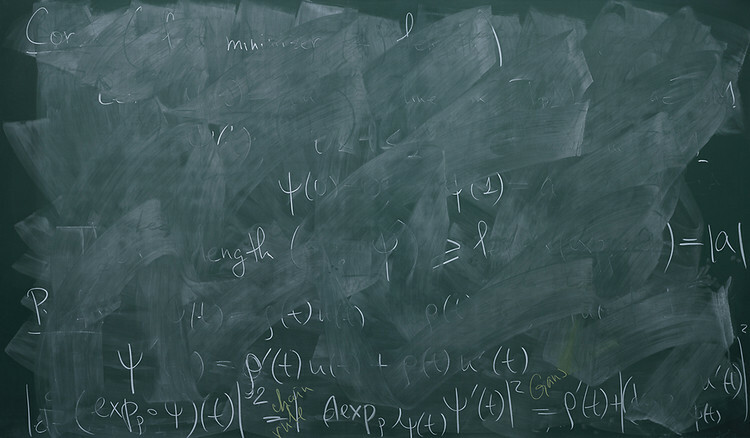 Anyone who has used Liquid Paper or erased a blackboard or used a pencil eraser knows that the residue remains. You can scrape that white out away or see the tracings of the chalk or notice the indentations of where the pencil scratched the paper. There is no such thing as a completely clean slate. It would seem that we’re back in hot water. It would seem that even though our sins have been erased, the mere existence of that list proves our guilt and makes us worthy of condemnation. But here’s where things change. Colossians not only tells us that the record with its legal demands has been erased, but that it has been set aside and nailed to the cross. It is the cross of Christ that has effected our forgiveness and erased that record of our sins. The reason that this is so important is that the cross turns the entire system of judgment and retribution on its head. The wisdom of the world dictates that those who do wrong must be punished accordingly, but the cross turns that wisdom on its head because in the cross, someone completely innocent was willing to be punished. The author of Colossians tells us that Jesus Christ disarmed the rulers and authorities of this world and triumphed over them. The thing is, Jesus didn’t do this by defeating them in some dramatic battle or by evading capture; Jesus defeated the powers of this world by willingly submitting to their own unjust system. By going willingly to death, Jesus took the threat of death, the one previously unquestioned power of tyrants, and made it impotent. Jesus Christ pointed at death and said that it had no power over him and has no power over any of us. And by doing so, by going willingly to the cross, Jesus Christ took a system based entirely on vengeance and retribution and said, “No more.” In some ways, this is a scary change that doesn’t really make sense according to how we’ve always looked at the world. Paul tells us in the first letter to the Corinthians that the cross is foolishness to those who are perishing. It’s also foolishness to those who have a vested interest in maintaining the status quo, because a system predicated on retribution keeps people in their place and allows the powerful to stay in power. With a retributive system, a limited number of people are given authority to forgive and punish, and those are the people with all the cards. But through the cross, Jesus Christ has blown up this system and given everyone access to God’s forgiving grace. So the reason that our sins are forgiven is not because they have been erased or forgotten, but because through the cross, Jesus Christ has transformed the entire system and made that list we imagined irrelevant. Our sins are not forgotten; the system that remembers our sins has been completely transformed. Even a blank record of our trespasses is an artifact of the old way of doing things; the author of Colossians tells us that God has changed everything through the cross of Jesus Christ. The question, as always, is what difference this makes to us. Sure, through the cross of Jesus Christ, God has completely changed a system based on vengeance and retribution. But how does that change the way that we live our lives? On one level, we’re probably inclined to think, “Great! God has forgiven me of my sins and now I can go about my life with a clear conscience.” But on another, much deeper level, the fact that God has changed the system completely through the cross of Christ means that we are called to live our lives in a new way. It means that we are called to let go of our resentments and grudges, that we are called to forgive those people who have wronged us. It means that we are called to reach across boundaries and extend hospitality to everyone we meet. And as Amanda alluded to last week, it means that we are called to point to those unjust systems that oppress the weak and powerless and say, “No more.” We are called to do everything in our power to dismantle those forces that maintain the artifacts of the old way of doing things, to agitate against those who continue to trample the downtrodden underfoot, to proclaim to those still wedded to the old system that God has completely transformed it and that they have to catch up. Unfortunately, the Church has had moments in her history when she has been one of the forces wedded to the old way of doing things. There have been, however, moments in the history of the Church when she was at the forefront of the struggle to dismantle the system that has been abolished by the cross of Jesus Christ. Perhaps no moment in our recent history embodies this struggle for justice more thoroughly than the Civil Rights movement. 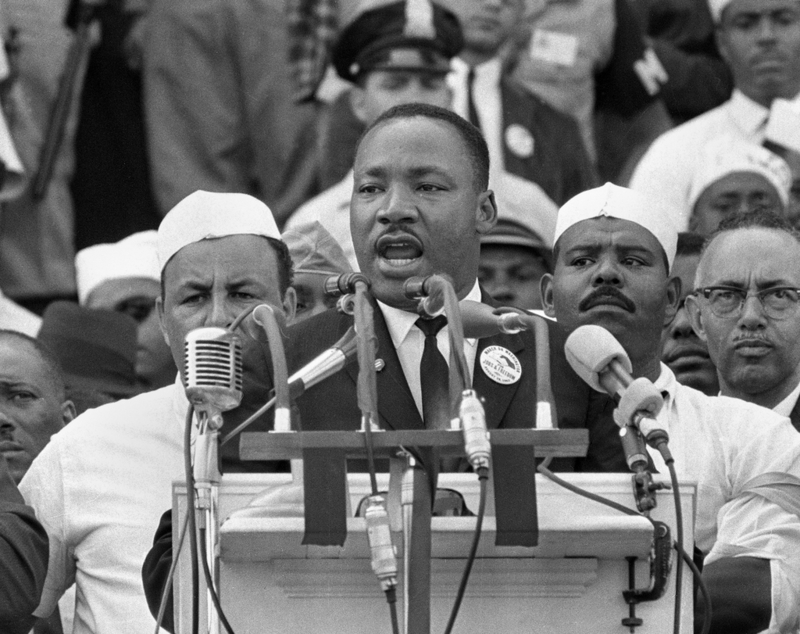 It has been sixty years since Martin Luther King quoted the immortal words of Amos at the Lincoln Memorial: “Let justice roll down like waters and righteousness like an ever-flowing stream.” The Civil Rights movement followed Christ’s example by submitting willingly to the system to expose its injustice. May God give us grace to do all we can to allow the flow of justice to quench this parched and barren land. God has abolished the unjust systems of the world through the cross of Christ; we have only to stand with people like Dr. King and proclaim that the old way of doing things has passed away. And when we do this, when the world fully recognizes what God has done through the cross of Jesus Christ, then we can proclaim that injustice has been nailed to the cross and erased, never to be remembered again.